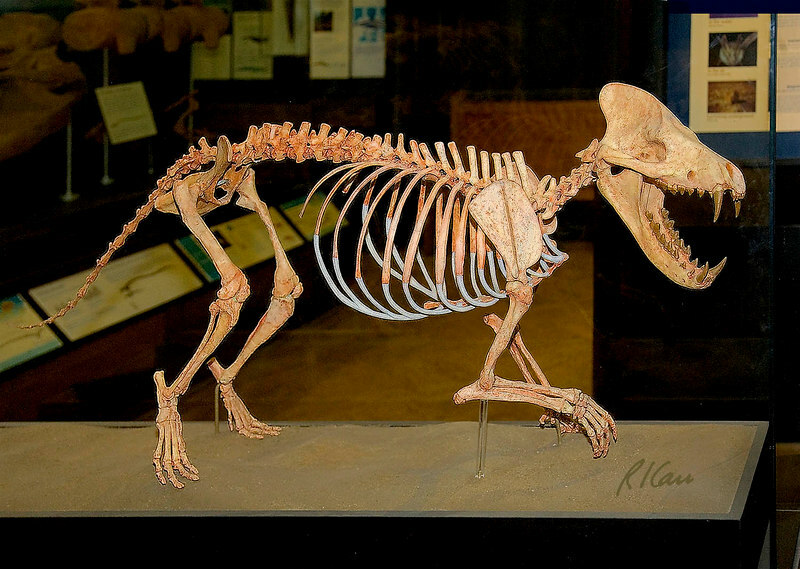 Prehistoric animals: Mesonychids were meat eaters with hoofed feet that lived 63 to 33 million years ago. They are related to today's hoofed mammals, which differ by all being plant eaters. Exhibit Museum of Natural History, University of Michigan, Ann Arbor, 2006.